After exactly one year ago by now, when the US Justice Department has shut down the popular file sharing website Megaupload on grounds of promoting piracy, with the founder Kim Dotcom being arrested for it. Dotcom has since then been working on a successor to Megaupload, which now a year after the original site went down, has finally gone live under the name Mega. What is “Mega” ? Well! Mega is pretty much like any other file uploading and sharing service, such as Dropbox. You can drag and drop a file to quickly upload and share them. 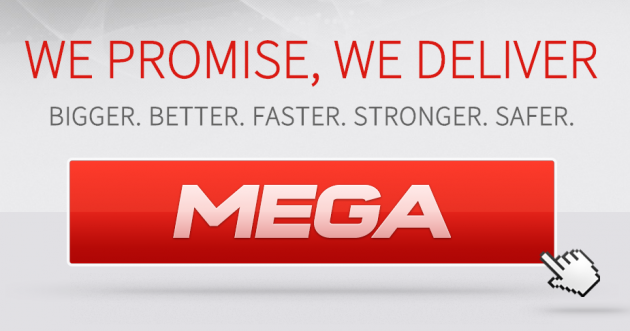 Mega offers you four subscription options at various price points. The first one is free of charge and gives you 50GB of free storage space. The other three options give you 500GB, 2TB and 4TB for €9.99, €19.99 and €29.99 per month, respectively. The service is still in an early version and the creators are promising several additions and improvements in future. To register, head over the link source down bellow, and I invite you to come and deliver your first impressions of the service in the comments section of this article.